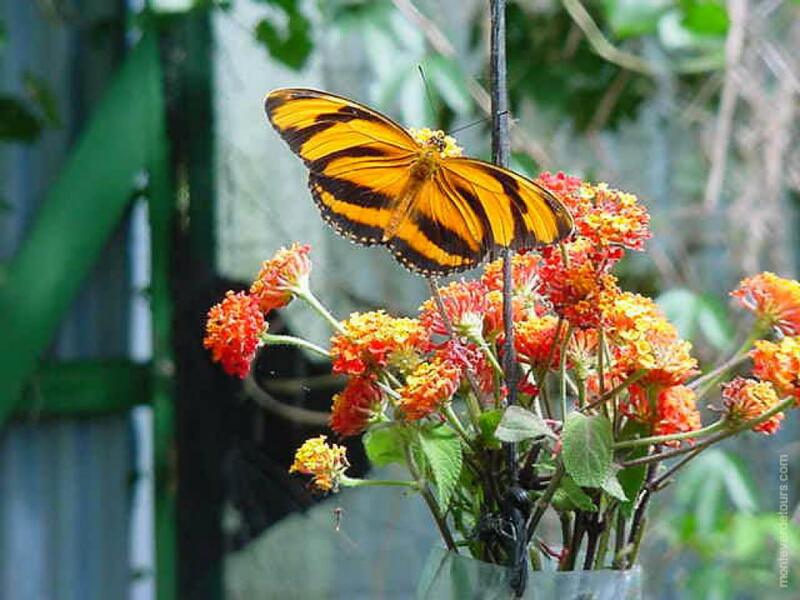 The Monteverde Butterfly Garden - the original and best butterfly tour! As tourism grows by leaps and bounds in Costa Rica, there are many people looking to profit off of a limited number of ideas. Butterfly gardens spring up like mushrooms overnight in every city and town, even in some hotels and restaurants. Currently there are three in the Monteverde area, but the original proves to be a must-stop during a trip to the Monteverde area. Jim Wolfe and his wife Marta Iris opened the Monteverde Butterfly Garden in 1989. 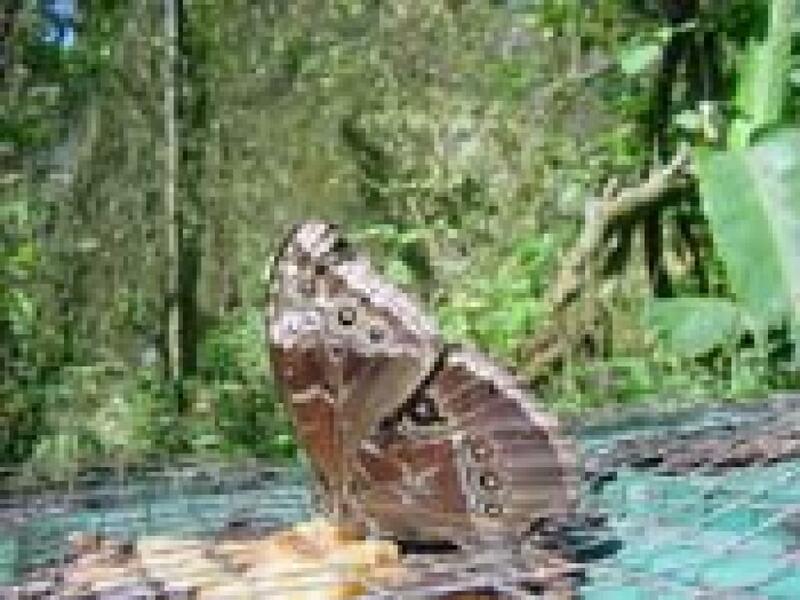 At that time there were very few tourist attractions in Monteverde (certainly no canopy tours), and for the next ten years the Monteverde Butterfly Garden was nearly the most visited attraction in Monteverde, second only to the Monteverde Reserve. The Buttefly Garden is now owned and run by a crazy-for-insects, butterfly enthusiast scientist Bryna and her husband and her team of volunteers, there really is no other butterfly garden tour like this one in all of Costa Rica and well worth a visit (cetainly if Bryna herself does the tour your kids will be raving about it for months after!). 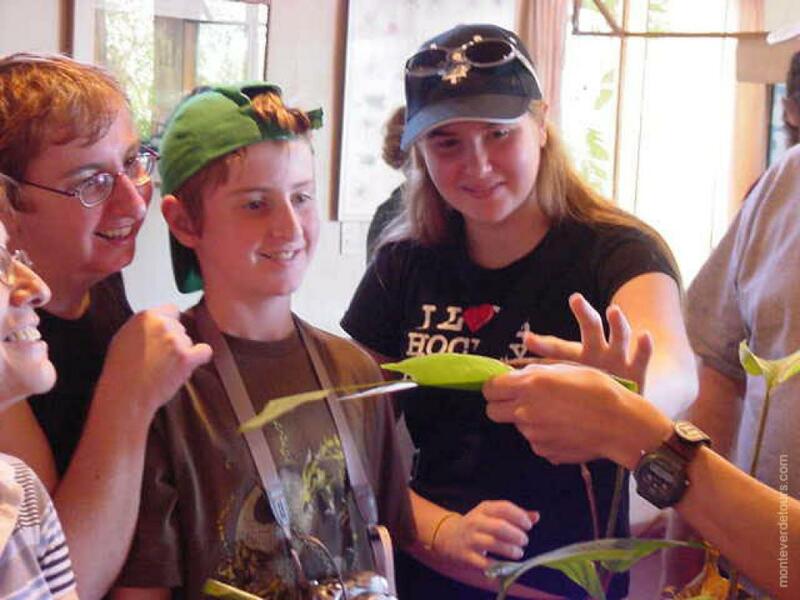 Why has the Butterfly Garden attracted so many visitors? Do people come from all around just to see pretty butterflies? Well, yes. 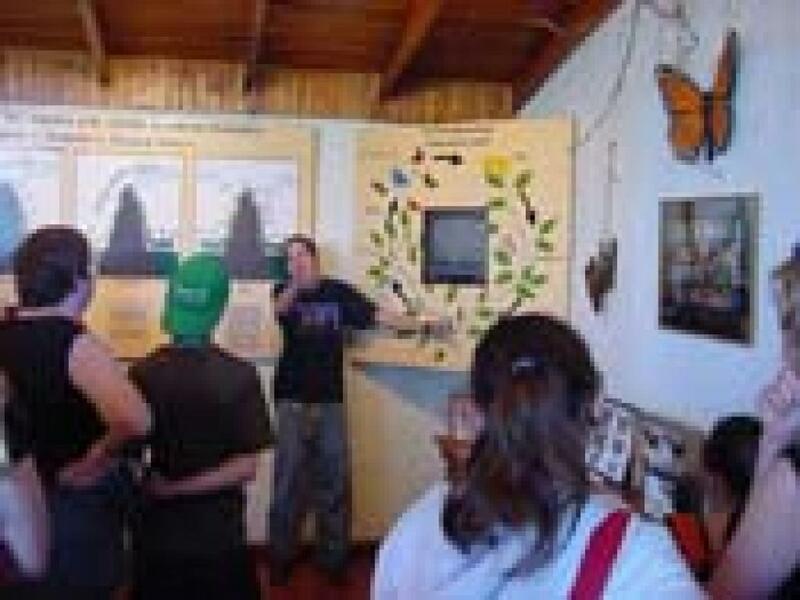 However visitors who came just for the butterflies get tricked into learning a mini course in Tropical Entomology and Costa Rican Natural History. Depending on your preference you can spend anywhere from an hour to a whole day at the garden, observing, photographing and learning about butterflies and other insects. Every guest receives a guided tour that is included in the cost of admission. Well-trained volunteers, often biology students, give the hour and a half tours. 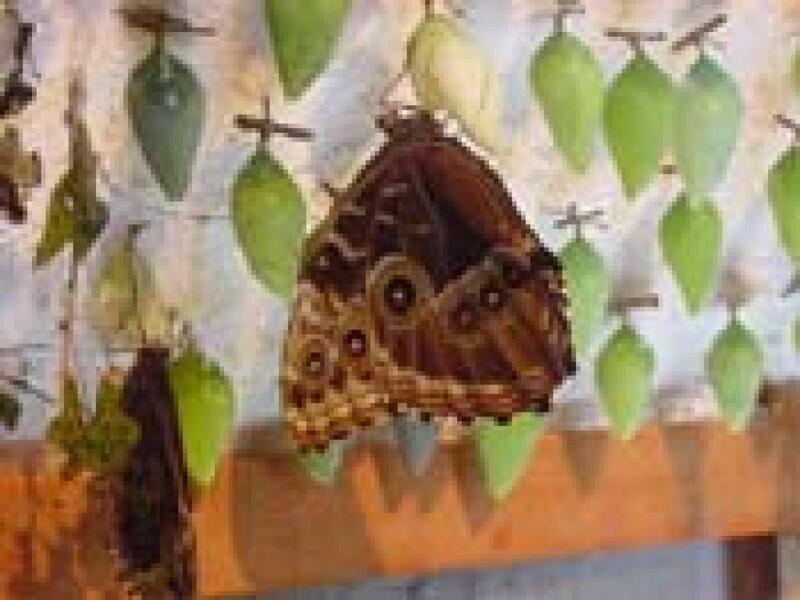 The tour includes a guided trip through four greenhouses which house the many species of butterflies as well as a short lesson in the nature center which showcases a wide range of insects and arachnids in live exhibits. The tour is often funny, always entertaining and very informative. 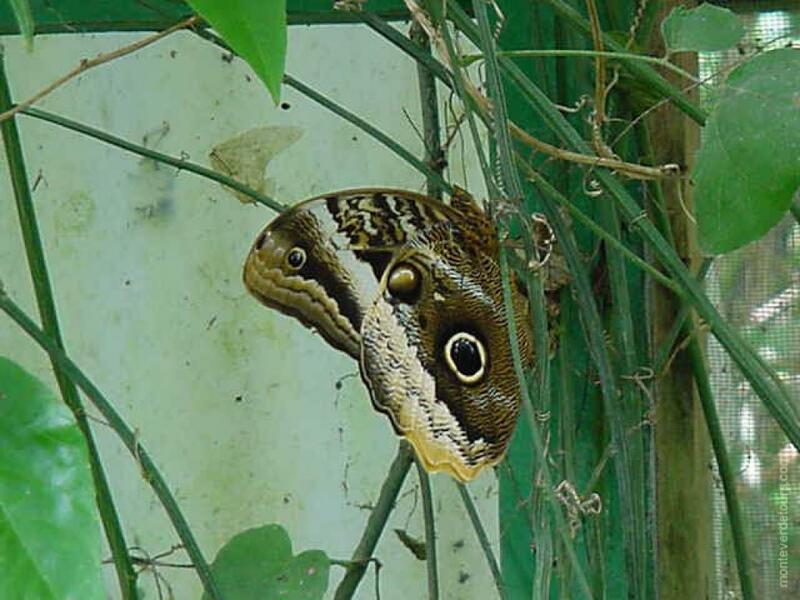 Butterflies are most active while it is sunny and warm so these greenhouses ensure that you can see butterflies year round no matter what the weather. 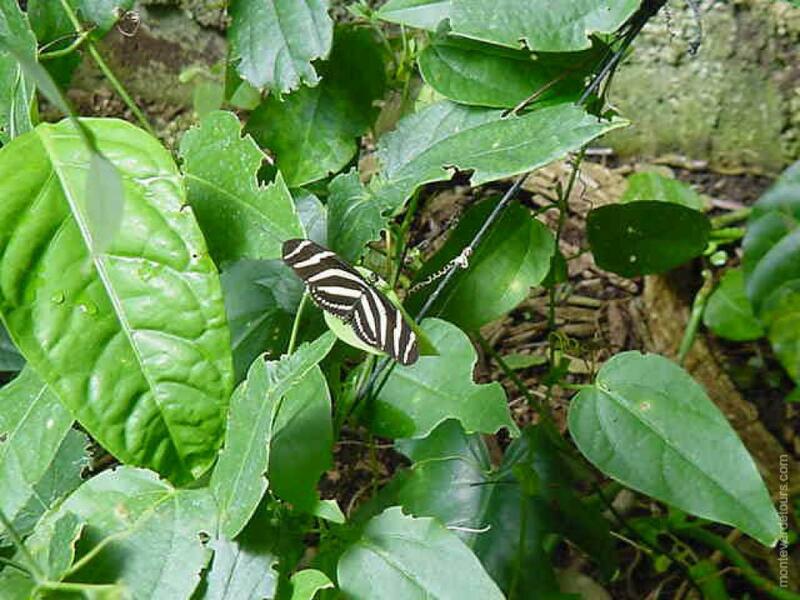 Another advantage of the Monteverde Butterfly Garden is the diversity of species. Bryna and David raise each of these butterflies and know their preferences and habits. These fragile creatures take extreme care to handle and grow. Every species feeds on a different plant and some of the caterpillars will eat each other if there is not enough food. Another exhibit at the gardens is The Leaf Cutter Ant nest which provides an up close opportunity to see these ants in action. Many visitors to Costa Rica see leafcutter ant trails, which can be up to a hundred meters long through the woods. A large leaf cutter ant colony can use more leaves than a cow in a single day! 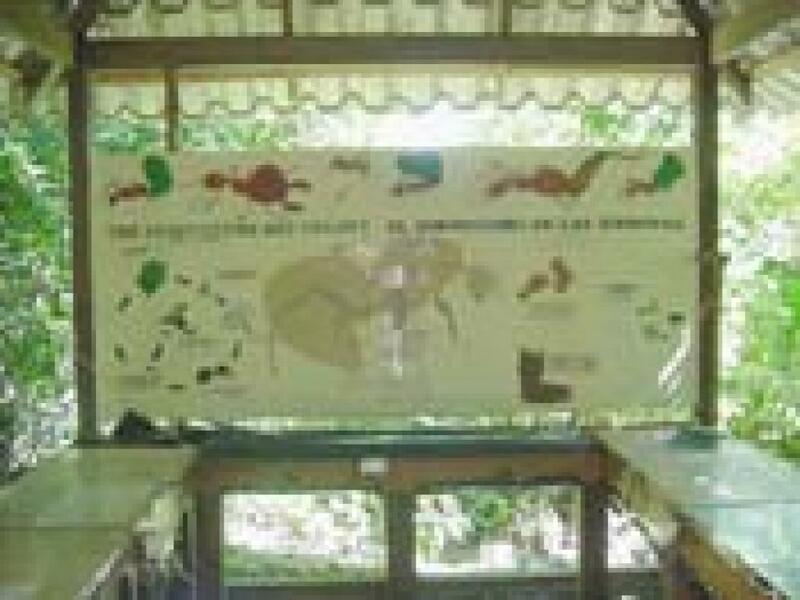 In this exhibit you get a chance to see inside the nest of the Leaf Cutters, where they are cultivating a fungus out of the decomposing leaves.